To maintain continuity with the PHBA 2019 Baseball Rules, Section 1.02 and 4.07 have been deliberately left out of these rules. (a) GN, GW: For all games played at the College Park fields (Saturday Nights – 3:00pm, 5:30pm and 8:00pm), there will be a strict time limit. Games will end at the completion of six (6) innings or 5:15pm, 7:45 pm or 10:20pm whichever occurs first. This rule supersedes Rule 6.09(a) as it applies to the two (2) hour limit. To determine the winner of the game at the end of the time limit, refer to Rule 6.05(a). (c) GA, GP: Each player must play a minimum of two (2) innings for GP and GA, (six (6) defensive outs), in the infield during the first four (4) innings. (d) Outfielders and rover (optional) must stay out of the infield area with at least one foot on the edge of the grass. Pitcher and catcher positions must be filled at all times. (e) Any player removed from the game by their Manager may re-enter during a natural break in play as approved by the home plate umpire. (a) GP: After four (4) balls, the manager or his/her designated coach representative pitches for the balance of the count (i.e Count equals 4-1, coach has two (2) strikes to make.) The coach/pitcher will throw no more than three (3) pitches with the umpire calling balls/strikes. No walks are allowed. The foul ball rule applies, i.e on the third strike, if a batter safely fouls the pitch the batter will remain at bat for another pitch. (1) The manager of the team at bat or his/her designated coach shall pitch to his/her own team. (2) It is the responsibility of the coach to say out of the way of the defense. However, if the coach is hit by the ball, the ball is live and play will continue. (3) A defensive player must be in the pitching circle when the coach is pitching. (4) Coach pitching must be underhand from the pitching rubber. (5) A batter hit by a pitched ball from the coach or designated adult representative will NOT be awarded first base. (a) GW, GN, GA: Runner’s may not lead off. Runners may steal once the ball leaves the pitcher’s hand. If the runner leaves the base before the pitcher releases the ball, the runner will be called out. (b) GA: On a walk (four (4) balls), NO turn and burn at 1B will be allowed. (d) GP: Runners may NOT lead off. If a runner leaves a base before the ball crosses home plate they will be called out. (e) GP: A runner may score from third base only on a batted ball. Said runner cannot score on a throw from the catcher to the pitcher or an overthrow to a base. EXCEPTION: Batter hit by pitch with bases loaded advances to first base and runner scores from third base. (b) GN, GA, GP: Sliding is allowed however HEAD FIRST slides are NOT allowed except when a runner is returning to a previously occupied base. If a runner slides head first, other than when returning to a base, the runner will be called out. (a) GP: When a play is made on a runner at a base and the ball goes into the field of play past the infielder where the play is being made, the runners may not advance past third base. 1 base from the base at which a play is made. * A non-batted ball is defined as a ball thrown back to the pitcher from the catcher, a thrown ball to a base in attempt to put out a runner attempting to steal. (a) GW, GN: Pitchers are allowed to pitch a maximum of two (2)(GN) or three (3)(GW) innings in any one game. Once one (1) pitch is made in an inning, it counts as an inning pitched for that pitcher. During the playoffs, the maximum will increase to three (3)(GN) or four (4)(GW) innings. (b) GA, GP: Pitchers are allowed to pitch a maximum of two (2) innings in any one game. Once one pitch is made in an inning, it counts as an “inning pitched” for that pitcher. (c) GP: A batter hit by a pitched ball (except when pitch is in the strike zone or pitched by a coach pitcher) will have the option of taking first base or continuing their at bat. (d) All pitchers must pitch in a windmill fashion. If the windmill motion is not employed, the pitch will be called a ball unless successfully put in play, in which case it is the offensive manager’s option to take the play or the called ball. (e) Pitcher must start with both feet on the pitching rubber. (f) Any player warming up a pitcher, regardless of location, must wear a Catcher’s mask. (g) Pitching changes can be made at any time except in the middle of a player’s at bat, or in case of injury. (b) GA: There will be three runs maximum per team per inning through the fourth inning. The number of runs in the fifth and sixth innings is unlimited. In the limited run innings, the batter, any baserunners and the fielders should play any batted ball to the natural conclusion of the play, even when it appears that the final allowable run for that inning will score before the natural conclusion. (c) GP: There will be three runs maximum per team per inning through the third inning. The number of runs in the fourth, fifth and sixth innings is unlimited. In the limited run innings, the batter, any baserunners and the fielders should play any batted ball to the natural conclusion of the play, even when it appears that the final allowable run for that inning will score before the natural conclusion. (a) Six (6) innings shall constitute a regular game. If after three (3) innings the game must be called, it will go on record as a complete game (2 ½ innings if the HOME TEAM is ahead). (a) If after six (6) innings, the game is tied, the game will continue until a winner is determined, time permitting (see Rule 6.09(a)). If a tie game must be called, it will be counted a half of a win. (a) If a team is ten (10) runs ahead at the end of the fifth inning, the game will be called. (a) GW, GN, GA: Each Manager may decide to end their offensive half of an inning if they choose by notifying the umpires that they will surrender the remainder of their at bats for the inning. At that point the half inning is over and the other team will come up to bat. This is only allowable in unlimited run innings (fifth and sixth). If the team that surrenders their inning comes up again, the batting order must start exactly where it was left off before so that no batters are skipped. (a) Umpire’s may call a game at any time because of any unsafe playing conditions such as, but not limited to, darkness, foul weather and rain. 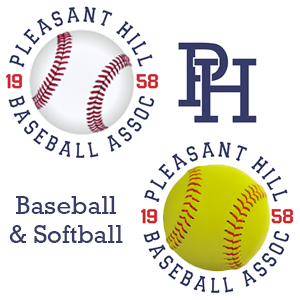 Through the last Sunday in April, Umpire(s) must call the game for darkness ten (10) minutes after the published sundown time for Pleasant Hill (posted on the PHBA Website). If a game is called before any full inning is completed, the score reverts to the last full inning. No consideration to the score will be given by the Umpire(s) in determining whether to call a game. When the Umpire(s) call a game the game will immediately stop and the score will revert to the end of the previous full inning. For purposes of this rule, the last “full inning” and the previous “full inning” are defined as the last inning in which the Visiting Team has completed its turn at bat with three (3) outs and the Home Team has either completed its turn at bat with three (3) outs or the Home Team is at bat and either tied or is leading in runs scored, regardless of the number of outs. There are three (3) possible scenarios. (a) A game called under Rule 6.05(a) that is not yet a complete game under Rule 6.01(a) will be rescheduled to the extent possible under Rule 6.06(a). A rescheduled game will resume at the point that the game was called and will continue until it qualifies as a complete game, ie, three (3) inning completed; 2 ½ innings if the home team is ahead. The batting order, pitchers and pitch counts will carry over to the resumed game. (a) Each Team must have a minimum of six (6) players throughout the entire game or forfeit.